Summary: At seventy-two, Johnny Ribkins shouldn’t have such problems: He’s got one week to come up with the money he stole from his mobster boss or it’s curtains. Review: In the words of an unnamed urban philosopher, "there's levels to this," and Ladee Hubbard ascends all of them in presenting the talented Johnny Ribkins and his merry cast of characters. If you know a 72 year old black man who's lived through Jim Crow and the Civil Rights Movement, you already know he's not here for foolishness. Johnny is no exception. He's on a mission to recover money he's buried around the state so he can pay off a loan shark and get back to living his quiet life, but there are a few road blocks along the way. Back in the day, Johnny and his crew tried to use their powers for good during the movement. When that didn't pan out, the crew disbanded and Johnny took his map making skills and his brother's talent for climbing and turned them into a profitable venture. Franklin was much younger than Johnny, almost like a son to him. But a disagreement between the two left them estranged, so Johnny never knew that his brother had a daughter. Now that he's shown up at his deceased brother's door, the first stop on reclaiming his money, he's struck by the talent of the niece he never knew. After a bit of argument, Johnny agrees to take Eloise on the road with him and what follows is a series of adventures. Johnny is a bit of a curmudgeon, which doesn't seem to bother Eloise at first. She's built up a wall around her just as sturdy as the ones her father used to climb. As they travel around the state, followed by Reg and Clyde, Melvin the loan shark's henchmen, the two learn a lot about each and themselves. When Johnny introduces Eloise to his old crew, including the uncle that can imitate anyone and the cousin that shoots fireworks out of his mouth, you see Eloise gain just a little more confidence. Yes, she has an interesting talent, but that doesn't make her weird, it makes her special. This is most driven home by a visit to the Hammer, the loan female member of The Justice Committee. By the end of the Ribkins' journey, Eloise and Johnny's future as a family looks hopeful. This debut from Hubbard is quirky at times and I'm convinced that parts of it went over my head, so going back and reading this again is not an option, it's a must. A willing suspension of disbelief is necessary when reading The Talented Ribkins. If you can't get past that, then this probably isn't the book for you. But if you like reading about everyday heroes among us, The Talented Ribkins is the book you need. 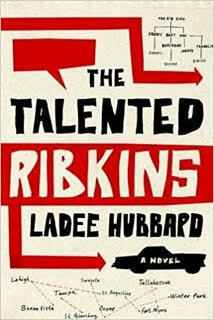 Enter to win your own copy of The Talented Ribkins below. 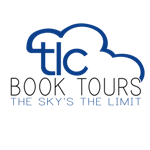 Contest ends at midnight, Friday, September 15.